NEO C-X delivers the ultimate versatility for power users to expands the capabilities of their Apple MacBook and MacBook Pro. 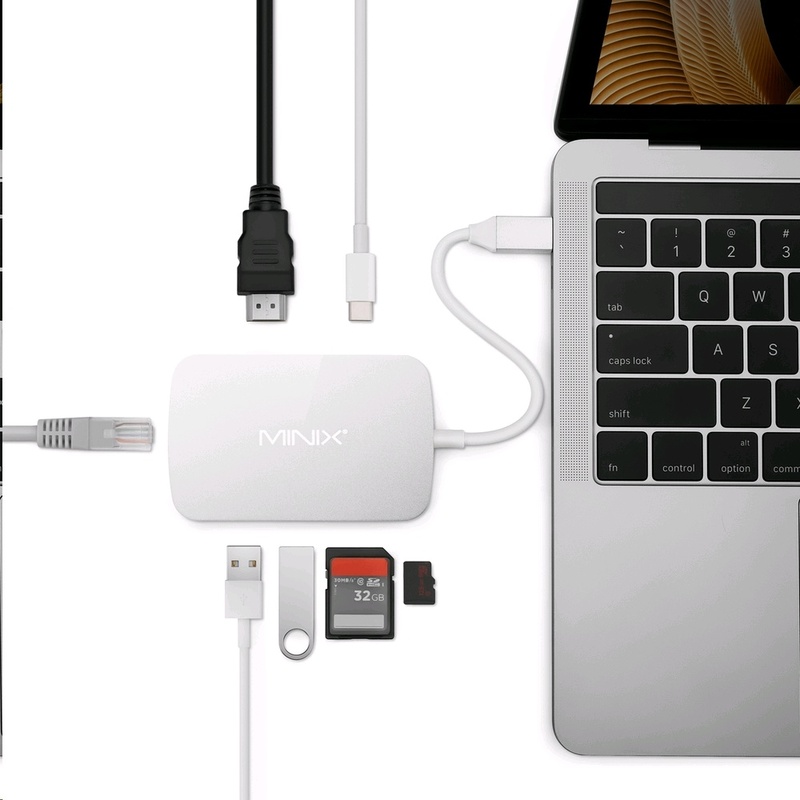 Featuring a total of seven ports that can all be used simultaneously – HDMI, 2 x USB 3.0, 10/100Mbps Ethernet, USB-C [only supports pass-through charging], and Micro SD and SD card readers. 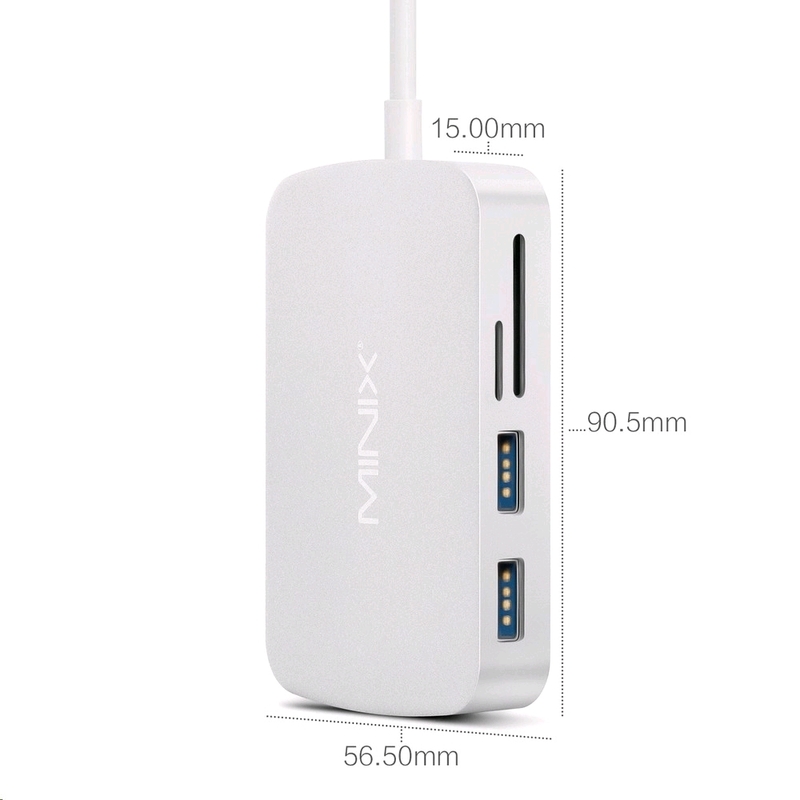 NEO C-X’s two USB 3.0 ports provide data speeds up to 5Gbps, and Micro SD and SD card readers offer UHS-I 104MB/s.